ITMFA — "Impeach the Motherf*cker Already" — is an act of resistance against the Trump administration that includes charity and merchandise. Just over a year ago, legendary author, podcaster, and activist Dan Savage resurrected ITMFA (Impeach the Motherf*cker Already) to coincide with Donald Trump’s inauguration. But beyond the fun merchandise it offers, including tees, beanies, caps, mugs, and pins that read “ITMFA,” more than $200,000 has been raised for Planned Parenthood, the ACLU, the International Refugee Assistance Project, and hurricane relief in Puerto Rico. Since Savage created ITMFA in 2006 in response to George W. Bush and raised over $20,000 that he donated to the ACLU, the nonprofit has gained even more traction the second time around. 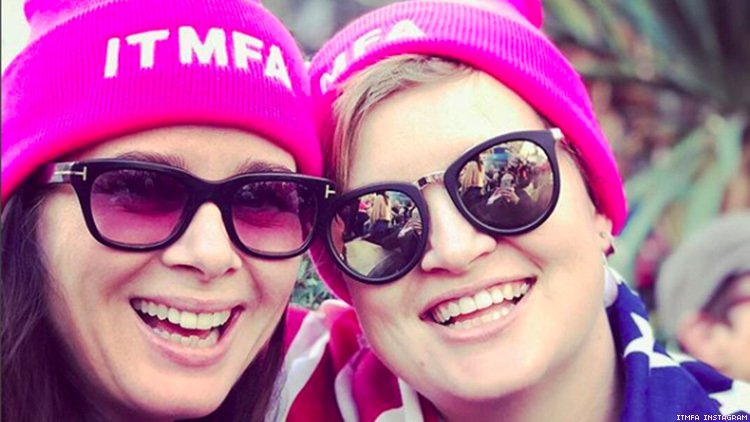 Following the record-breaking 2017 protest that was the worldwide Women’s March, ITMFA began selling limited edition pink beanies and tees to raise money for women’s organizations, like Planned Parenthood. With Trump’s first year in office behind us, ITMFA announced it will sell its pink ITMFA merchandise through the end of February. Just last month the Trump administration announced it would revoke President Barack Obama-era guidelines that made it more difficult for states to defund Planned Parenthood. So there’s never been a better time to help PP fund its life-saving services while also sporting some anti-Trump garb.